Asked to grade Abe on a scale from zero to 100, 29 analysts gave him an average score of 58 points, with most clustered between 50 and 70 points. That suggests they believe he’s doing modestly well, making more progress than failingbut not doing an outstanding job, either. During nearly six years in power, Abe has sought to steer Japan’s economy through a three-pronged policy mix dubbed “Abenomics” of super-loose monetary policy, massive fiscal spending and a growth strategy that includes structural reforms. Economists were also asked to each pick three areas of success in the September 5-13 poll, and “encouraging more women to work” got the most votes from 15 of 29 analysts polled. While more Japanese women have entered the workforce, many are part-timers, and female senior executives are still a rarity, a separate Reuters poll showed. Analysts also said areas of success were “accepting foreign workers,” with 12 votes, and “promoting economic partnerships,” with 11 votes. Immigration is a delicate subject in Japan, but job shortages have prompted the government to announce plans for new five-year work permit categories for foreign workers in areas such as farming, construction and hotels. Asked to identify Abe’s most unsuccessful areas, 17 economists chose “production revolution”, 13 picked “revitalisation of rural areas” and eight each selected “strategic economic special zone” and “human resources investment”, the poll showed. Abe is expected to win an election for leader of his Liberal Democratic Party on September 20, putting him on track to become Japan’s longest-ruling prime minister. Economists forecast that the core consumer price index, which excludes fresh food, will likely rise to 0.9 percent in the current fiscal year to March 2019, and the same rate the following yearstripping out the effects of a scheduled sales tax hike in October 2019, the poll found. 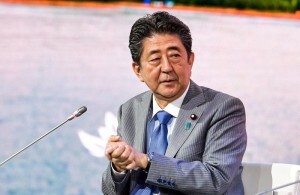 One of Abe’s main goals has been to lift Japan out of an extended deflationary rut, and the core CPI has gradually improved, reaching 0.8 percent in July. But that’s still far short of the Bank of Japan’s 2 percent target. When the BOJ next changes policy, economists believe it will scale back its stimulus measures, not add to thembut most believe that won’t come until 2020 or later, the poll showed. During Abe’s tenure, the economy has managed to avoid falling into a recession, or two straight quarters of GDP contraction. But growth has generally been tepid and inconsistent. “Industrial production and external demand is weak, partly affected by trade friction,” said Akiyoshi Takumori, chief economist at Sumitomo Mitsui.